Our firm acquired Foxcroft Apartments in August of 2016. The 226 unit complex is located in the Statesville, North Carolina submarket and it was built in two phases (1974 & 1985). Foxcroft Apartments has an attractive floorplan mix ranging from 1 BR to 3 BR garden and townhome units. 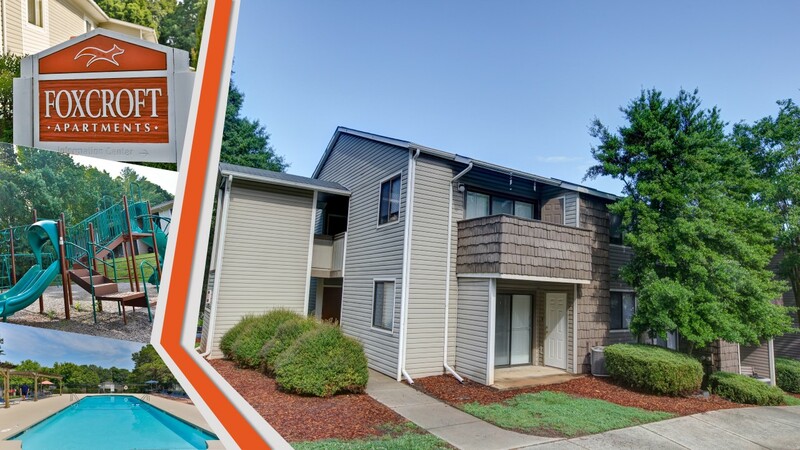 The property is in a prime location near the I-77/40 junction and is just outside of Charlotte and Winston-Salem, and entices residents with access to major shopping, employers, recreation and transportation options. Thorough submarket research indicated Foxcroft Apartments was a strong investment opportunity with an attractive value-add scenario. Less than a year later, the property has already resulted in a high return on investment from execution of moderate property rehabilitation of interior units and exterior upgrades. Upon the acquisition, our in-house property management firm, Capstone Multifamily Group, took over management of the property. Our Capstone transition team has increased the value of the Statesville property by renovating and updating the interior units as well as exterior renovations on roofs and resealing the parking lot. In addition to renovations, our Capstone team has added banners and flags to make the community more inviting. At property takeover, the leasing office was operating out of a 2-bedroom unit (pictured below as the “Before: 2-Bedroom Leasing Office”). The 2-bedroom unit was also not centrally located in the community, making it inconvenient for a portion of the residents to access the leasing office. Fortunately there was a clubhouse structure that was already built (pictured below as “Now leasing Office & Clubhouse”), but was only being used for storage and maintenance. The clubhouse structure also included a lounge area with couches and a full-size kitchen. Our team decided to move the leasing office to this unused structure, which has allowed our community staff to operate more efficiently. The property manager, leasing agents, and maintenance staff can now operate out of one centrally located building, making it is easier to access all units to address work orders, resident issues, and unit turns. The new leasing office is connected to the pool area, so the staff can ensure safety for residents and consistent upkeep on the pool. Along with safety, the new leasing office offers an open floor plan where our staff can interact with residents and host community events. Residents can rent movies for free from the movie library and grab some free popcorn to snack on. The Capstone team also added fresh new floors and constructed a closet to make room for storage. Moving the leasing office out of the 2-bedroom unit left an opportunity to capitalize on a vacant unit. Upon purchase of the Statesville Apartments, there was not a model unit to show potential residents. When touring a property, seeing a model unit can help a resident visualize their potential home, making them more comfortable to commit to a lease. 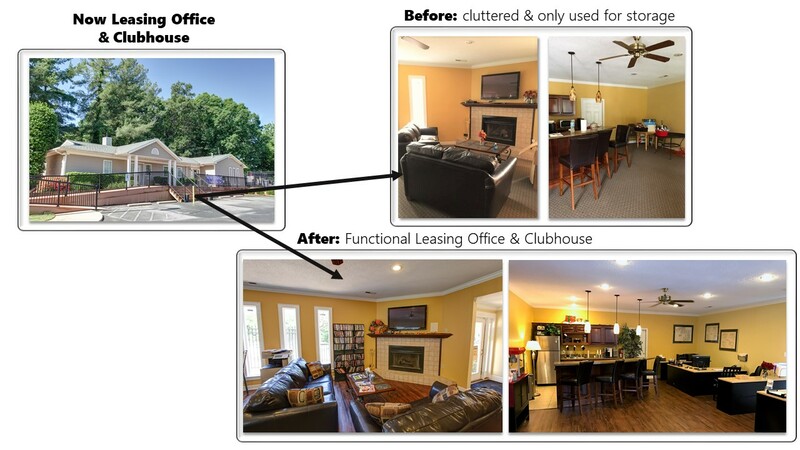 Now our leasing agents can improve leasing efforts by offering a welcoming clubhouse and beautifully furnished model. Interested in more of our acquisitions? Take a look at our case studies to see the high returns we deliver to our investors! If you would like to partner with us on our next deal, visit out our investor portal to learn how.